So a lot of people have been asking, what is address verification and how is that useful? Well… Xverify cross checks the address your end user provides against the USPS database to ensure that it is a deliverable location. In most cases of invalid physical addresses being entered it is usually because the user has made a typo, has not provided their apartment or unit number, or the user is giving a fake address to hide their identity. Once you have Xverify integrated as part of your real time data verification if the user makes a small spelling mistake we have an auto correction which will make the adjustment for the user that this way you are only getting the most accurate information submitted to your database. 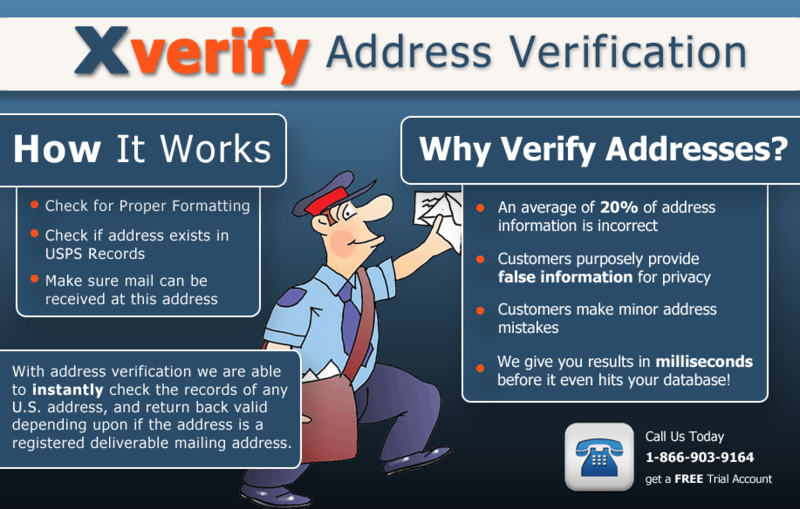 If the user lives in an apartment and only provides you with their street address and not the apartment number Xverify will then prompt the user to enter more information. There are also unfortunate cases where the user tries to make up a false address just so that they can breeze through your registration form but Xverify will stop these users and ask them to provide a valid mailing address. 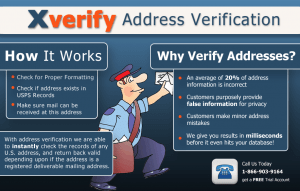 Address verification is most valuable if you are a direct mailing company, an online shop, or just looking to have the most valid customer data. It has been proven by our clients that after utilizing Xverify they were able to weed out the fraudulent data, increase sales, and improve productivity because they were only focusing on valuable data rather than spending man hours sifting through the big garbage file.